There are lots of places to go off-road mountain biking if you’re looking for a cheap thrill (or the chance to break your neck). 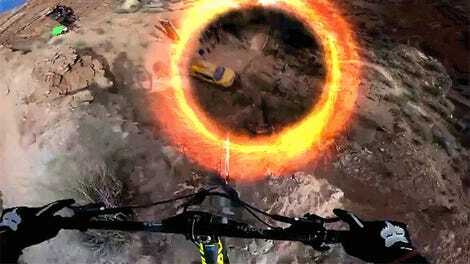 But one of the most dangerous has to be riding into an abandoned mine shaft. 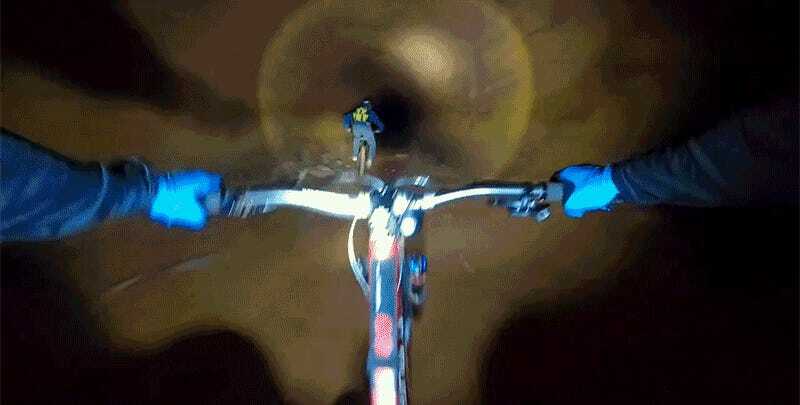 If your flashlight dies as you’re pedalling deep into the earth, you’re probably screwed. 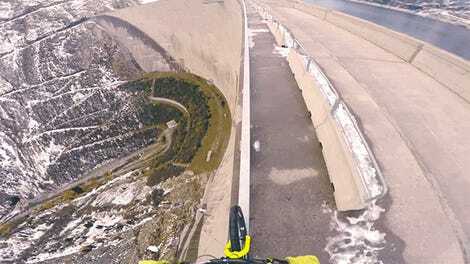 After countless rainy days foiled Kilian Bron’s outdoor cycling adventures, he decided to instead make a short film about mountain biking through a mine shaft. If years of watching Scooby-Doo has taught us anything, it’s that old abandoned mines are ripe for collapsing, and are also possibly haunted. 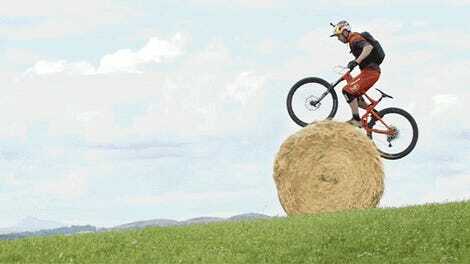 But despite the risks, clearly Kilian made it out alive, with some genuinely unique mountain biking footage of the ride.